In the previous episode of Starz’s Outlander, Stephen Bonnet’s pirates attacked the Frasers’ river boat. Outlander season 4 episode 2 began with Claire, Jamie, and Ian finally arriving at Aunt Jocasta’s estate, River Run. Jamie hadn’t seen Jocasta since he was a boy, but she greeted him with open arms and reminded him of his mother. She was going blind, and only able to see shapes and shadows and relying on her slave Ulysses. Jocasta owned 152 slaves who worked the land to produce tobacco, cotton, and lumber. Navy Lieutenant Wolff visited to urge her to grow wheat, but Jamie voiced that the damp land near the river was better for rice. His shrewdness earned him a surprise announcement from Jocasta, naming him the heir to River Run and acting Master of the Estate. Young Ian’s new wolf-dog, Rollo, chased a skunk, which sprayed him. Jamie and Ian weren’t familiar with skunks, but Jocasta had a “man of the wild”, John Quincy Myers, coming, who could help get rid of the smell. Myers and Ian spoke about Native Americans since he was curious about what they were like. From what Myers had told him, Ian concluded they weren’t much different from the Highlanders. Jocasta sensed disapproval from Claire. She told Jocasta that she didn’t believe in owning people. When Jamie was named heir, Claire was distressed as she didn’t want to be a slaveowner. Jamie didn’t either, so he proposed they free them once they inherited the estate. When he brought it up to Jocasta in front of Farquad Campbell, he was outraged. The barriers to freeing all 152 slaves were high. They had to prove in front of the Assembly that each slave had performed a meritorious act, like saving a life, and pay 100 pounds sterling for each. Even if they could do so, the surrounding owners would retaliate against them. Jocasta sent Jamie to deal with a slave who had cut off an overseer’s ear while chopping lumber. Claire went along to tend to the injured man. However, when they arrived, the overseer, Byrnes, had his men string up the slave, Rufus, with a large hook in his side. The Frasers took him back to the main house, and Claire performed surgery on Rufus. She told him that he was under their protection. An angry mob appeared at the front door, demanding justice. Rufus was supposed to be executed for shedding a white man’s blood. Jocasta made Jamie promise to turn him over at midnight. Claire feared what the mob would do to Rufus, especially after Ulysses warned her of the consequences of saving Rufus. Jamie convinced her to give him a painless death. With no better choices, she gave him a tea that quietly killed him. Jamie brought Rufus’s body to the mob, and they hanged his body. 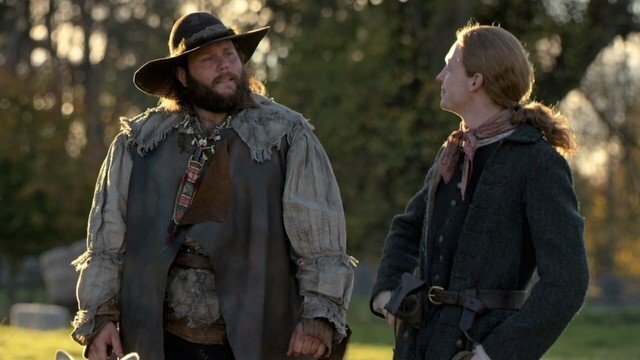 What did you think about Outlander season 4 episode 2? Let us know in the comment section below! 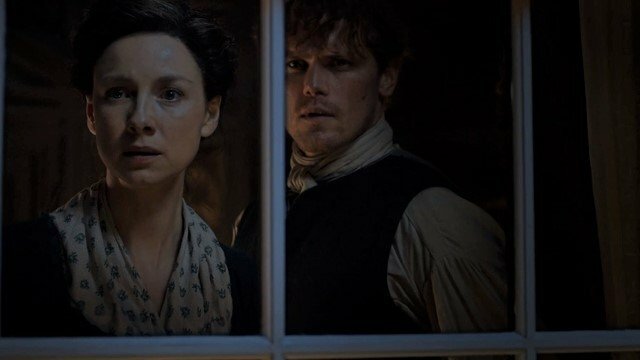 The post Outlander Season 4 Episode 2 Recap appeared first on ComingSoon.net.